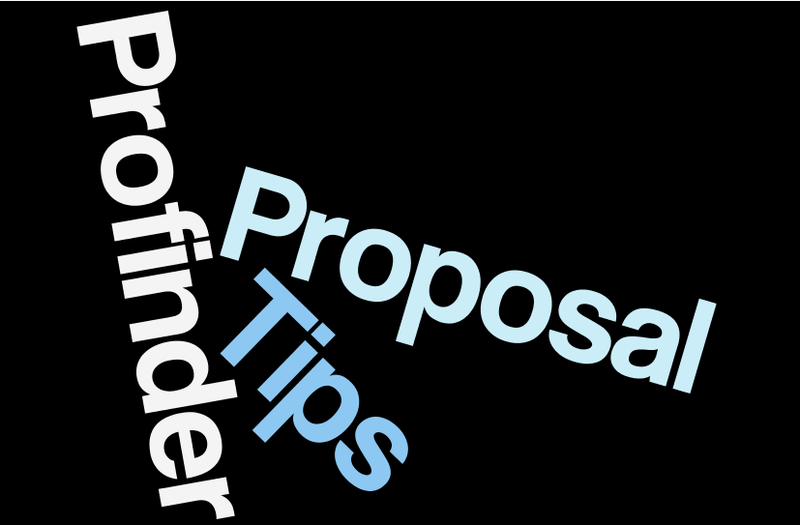 You can give your Linkedin ProFinder proposal an edge by following these LinkedIn proposal tips and best practices for freelancers. With LinkedIn ProFinder, you as a freelancers don’t peruse available jobs and bid on them. Instead, the service matches potential clients with experts like you, based on the services for which you have signed up to get proposals. Once you’ve received a proposal request, you’ve only got 24 hours to respond. You’ll want to make sure you’re prepared to send your proposal quickly. These tips will help ensure you’re ready to take advantage of any opportunities that interest you. As an independent contractor, you’ll be working directly with the client. It’s important to begin the conversation authentically to make sure there aren’t any personality conflicts, or if there are, that they’re manageable. LinkedIn suggests that if you typically sign your emails with a catch phrase, you should use it in the proposal. Each job is unique. By mentioning the specific details from the job, you show the client that you’re paying attention and that each proposal is created individually. While there are some items that can be reused in every proposal, like your bio, most of the information you provide should be tailored for the individual job, particularly the last portion where the client can add particulars. By getting to the point quickly, you’ll show the client that you value their time and can succinctly address the need they’re hoping to fill. Your proposal text can be between 250 and 1500 characters. While you do have some room to elaborate on what you can offer, make sure each word counts. If there’s a deadline on the project, make sure you can meet it. Have you completed a similar project? Share the results with the potential client. There’s no need to duplicate anything on your profile, since the potential client will have viewed it before submitting the proposal request. Create a template short bio about your expertise, which you can copy, paste and customize quickly. Specify that your proposed fee is open to discussion when details are provided. Sign the proposal with a direct email address to facilitate direct communication. Propose a phone appointment to better understand the assignment and client. As freelancers know well, professional work is complex. Pricing depends on details as well as specific expectations from the client. LinkedIn ProFinder starts the conversation by making relevant matches, but it’s important for you to quickly move to direct communication. This enables you to clarify the project specs and provide more appropriate pricing. Unlike Upwork, which requires that the conversation take place on their platform, LinkedIn ProFinder is more like an introduction service instead of a fully-formed matchmaker. By using the above tips and best practices, you both will have a better idea if you’re a good fit. Plus you’ll be that much closer to securing a new client. Review these tips from ProFinder pros, and then see my video playlist on Better LinkedIn Profile Tips.